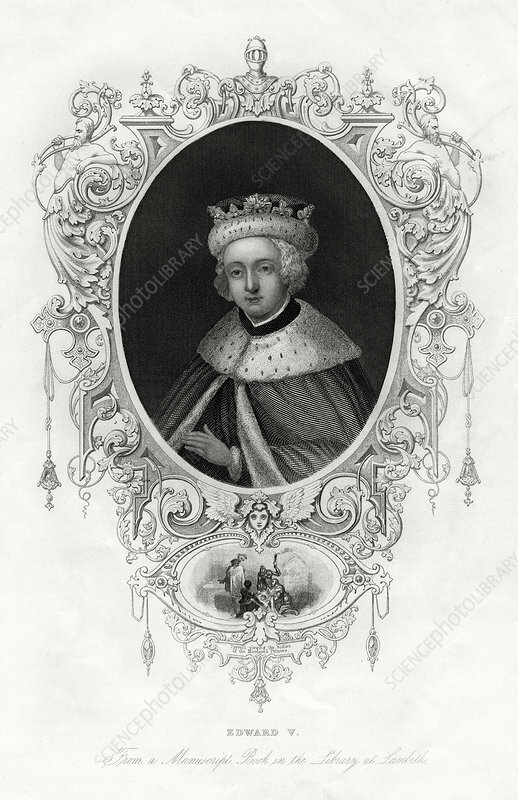 Edward V, King of England, 1860. Portrait of Edward (1470-1483), and below, the murder of the princes in the Tower. Edward and his brother, Richard, Duke of York, were confined in the Tower of London after the death of their father Edward IV in April 1483. It is thought both boys were murdered.